Summary of my weekend. Starts with Friday. I went to Mayestik friday instead of going to school. I did some textile shopping for my new personal project. I'm really excited about this project because it is for my portfolio. A guy that have no idea about who I am and what I'm capable of, underestimated me, so I really what to do my best to prove him that I am good. So we'll see. On saturday, I went to Bandung to see my grandpa. He is hospitalized saying that he has some problems with his heart... Hopefully He'll get better in no time. Hey guys! 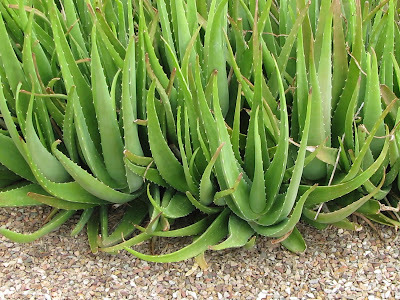 In this post i'll be talking about Aloe Vera (Yea obviously). I feel like I really need to tell you guys this amazing plant that is not only delicious to put in your dessert or drink, but is actually gives tonnss of benefit to us. I am already familiar with this plant since I was a little because my mom always had them in some flowerpot for us to consume. She ALWAYS give it to us when we were sick or simply for our health every single night, until now. Although, the world just realized their amazing benefit now. 1. If you have a sore throat, flu, fever, cough, take some leaves then peal off the skin of the Aloe Vera ( the green one) and use the slimy jelly inside part of it. I like to dice them and put some lime or lemon juice and a little honey. Consume then as often as you can and in no time you'll be healthy again. 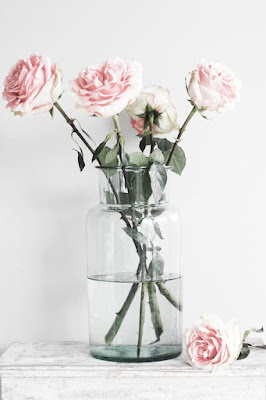 Photo : Pinterest Roses are one of the most notorious flowers out there, dating it's popularity and uses even back to the Cleopatra's era. It has different meaning and symbolism during different times, like in the Roman Empire such as love, sensuality, beauty, passion and balance. And you know what... coincidently (not really) it's also MY middle name, 'Rosa', which is the latin name of Rose, HA! This could be the reason why I feel some sort of connection to the flower and the smell of Roses, even though aesthetically I would favor Calla-Lily. I know, I know... A lot of people likes to associate Rose scents with something boring, also things that are old and outdated, as it often describes as "the smell of my grandma's cupboard", or even "the smell of my grandma". Smell and the flower itself, often embodies femininity, lady-like, classy and elegant attitude. Lyon, France - Where to visit? Part two of my Lyon trip! Basically this will be dedicated to places to go and to check on your trip which include church, museums and other touristic sites! I will only be talking about my recommended ones! You might think "What's makes this church any different with the other thousands of churches in France?". Answer : style and location. The church has a Romanesque architecture with the most beautiful dark green-gold-blue ish tone mosaic all over the ceiling, walls, floor that creates the most elegant and rich ambiance. Plus it is located on top of the Fourvière hill, which offers the most breath-taking view of the city. 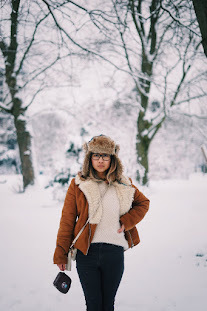 22 years old Indonesian girl who is pursuing live in Paris, France. Fashion, Fragrance and Food indulge me.